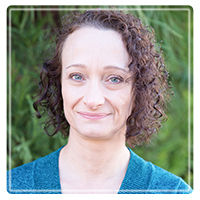 Alpharetta Therapist: Tanja Ketisch - Therapist 30022. Send A Message To Dr. Ketisch. Are you feeling overwhelmed or stressed out? Have you been through some traumatic or very distressing experiences? I can help! The first step–and perhaps the most difficult–is deciding you may need to reach out for help. Once you are ready, you should look for someone you can trust. My approach to therapy is to provide a warm, open, and accepting environment. I collaborate with you in establishing treatment goals. I do not believe that one type of treatment works for everyone. Therefore, I offer an integrative approach based on your needs resulting in a very individualized treatment. My educational background includes a Doctor in Clinical Psychology from the Georgia School of Professional Psychology in Atlanta. I have a B.A. in Psychology from the University of Nevada, Las Vegas and a B.S. in Clinical Laboratory Science from the University of Iowa. I am a licensed Clinical Psychologist in Alabama and Georgia. I am also a certified Yoga Instructor, and I incorporate yoga and relaxation into my therapeutic approach. Visit www.mindbalancepsychology.com for more information! What differentiates me as a therapist is that I work with you to explore what we hope to accomplish together. The key is making you feel safe and comfortable throughout the entire process. I listen closely to you and strive to create a therapeutic alliance and a positive working relationship. I am well versed in treating a wide range of mental health concerns; however, my passion is working with individuals who have endured trauma. When human beings experience trauma or severe life stressors, it is not uncommon for their lives to unravel. I aspire to bring healing to people who have been through traumatic or stressful experiences. My goal is to help my clients, who include adolescents, adults, couples and families, to find healthy perceptions of themselves, build resilience, and strengthen their relationships so they can know themselves as peaceful, complete, and safe. I know that no single approach is right for everyone. There is no one-size-fits-all approach to therapy and mental wellness. Therefore, I have been trained in a range of modalities to include Cognitive Behavioral Therapy, Cognitive Processing Therapy, Acceptance and Commitment Therapy, Prolonged Exposure Therapy, and Skills Training in Affective and Interpersonal Regulation, as well as several brief interventions. I consider my practice open and accepting to all, and I emphasize respect for individual diversity to include of sexual, gender, and relational diversity, such as sexual and affectional identity/orientation, transgender issues, and polyamory.